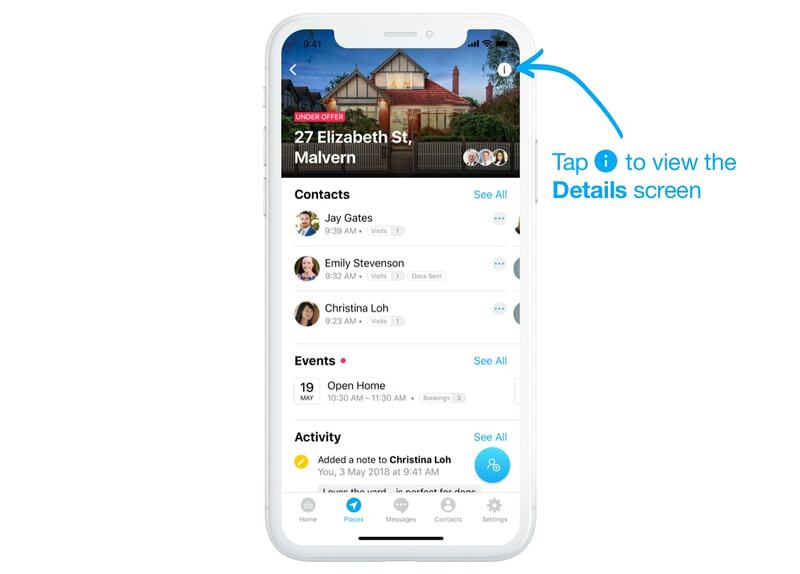 How do I view and send the mobile brochure? 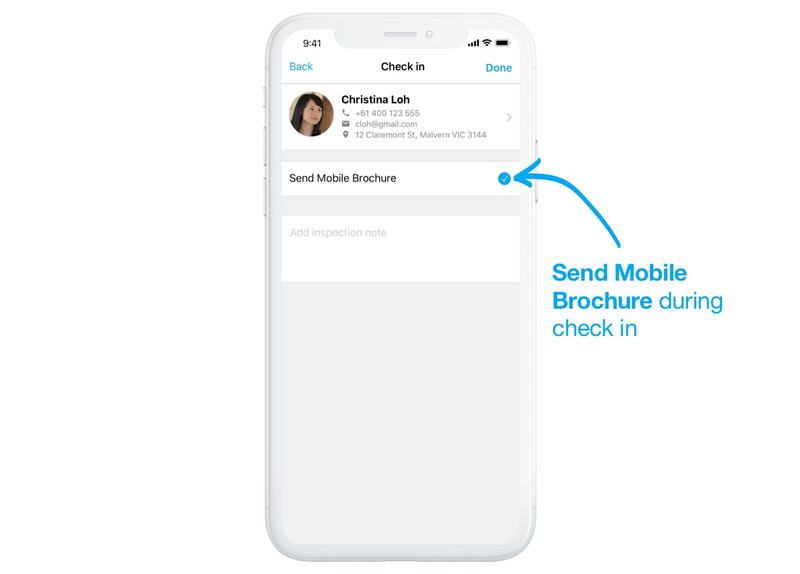 When checking in visitors, you can choose to send a mobile brochure. This will be sent via SMS as soon as you complete the check in. 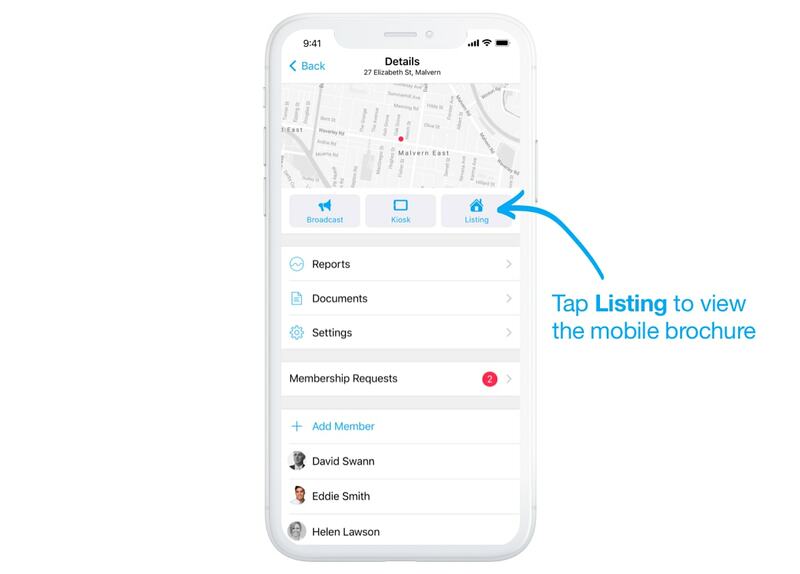 To view the mobile brochure at any other time, tap the info button to view place Details. Here, select Listing to view the brochure. 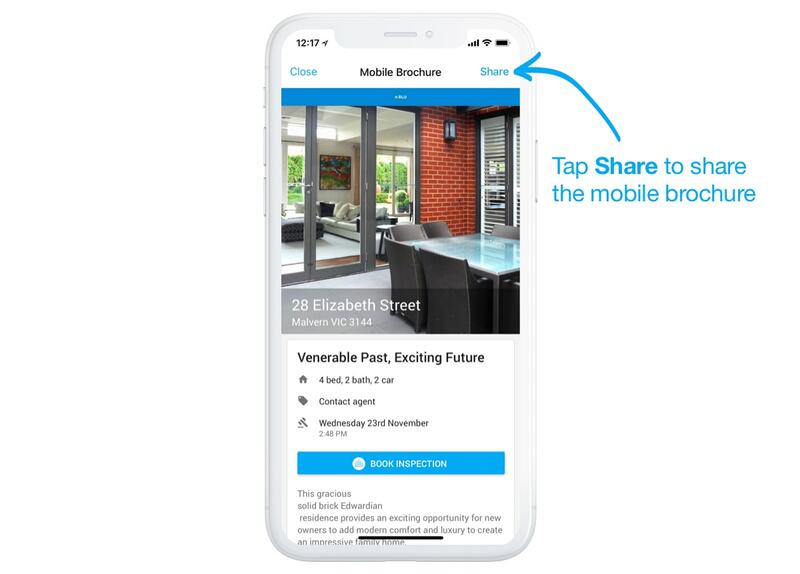 You can tap the Share icon to send a link to the brochure.